Over the last 25 years, it has been widely accepted that there are only twelve original, rebuilt and restored Alcos that exist. 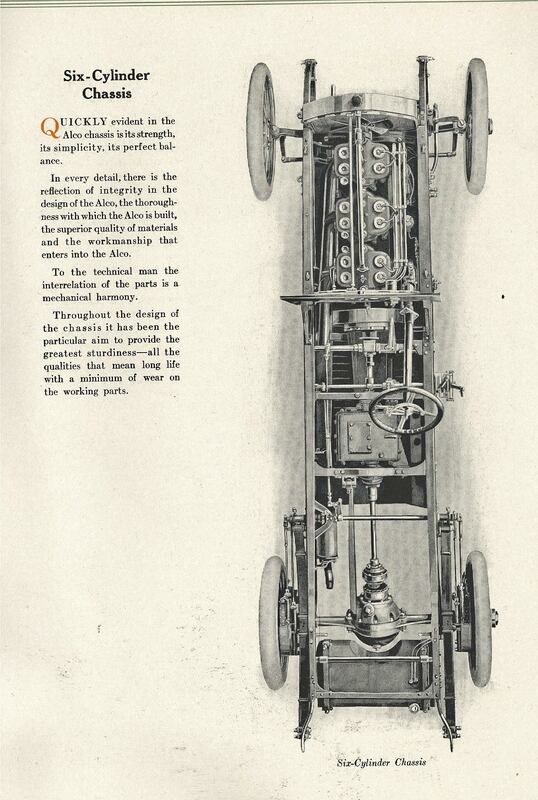 As requested by the Indianapolis Motor Speedway, I am trying to track down the Alco "12". 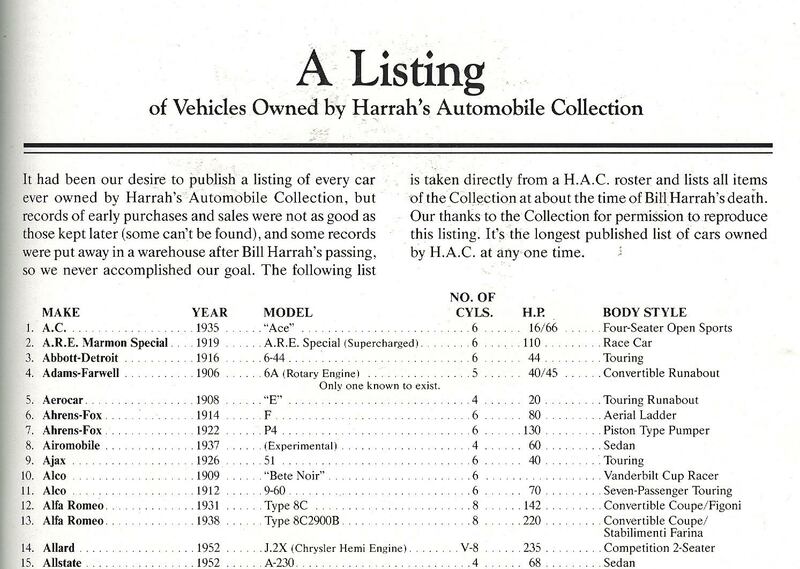 As noted last week by Peter Becker, the fifth Alco can be found in the Nethercutt Collection in San Sylmar, California. 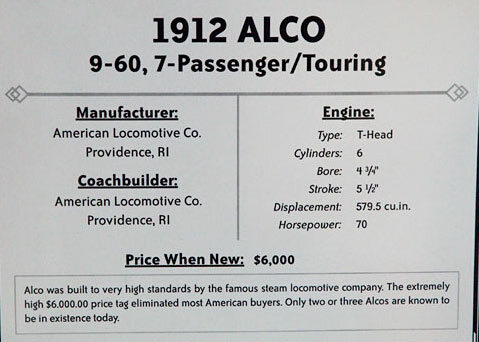 This Model 9-60 was featured on the cover of the 1912 Alco Product Brochure. If you know the location for the other seven Alcos, please leave a comment below. Thanks to a kind loan from car collector Andy Oldman of Belmont, MA, a 1912 Alco four cylinder touring car, that once belonged to Richard Cushing Paine Jr., the Seal Cove Auto Museum’s founder, is back on display at the Museum. 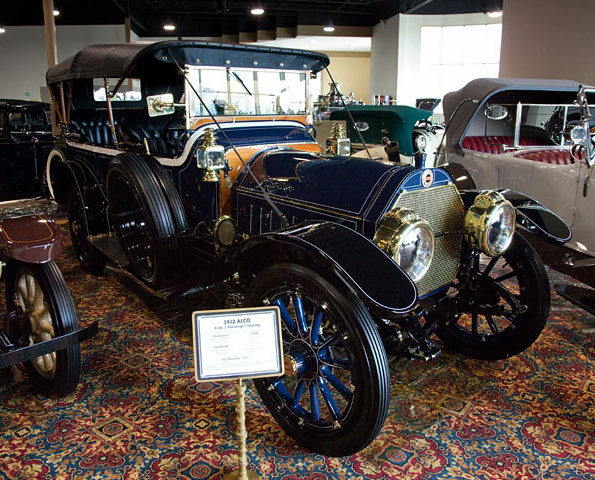 The Seal Cove Auto Museum is located on Mount Desert Island, Maine, and displays the finest collection of ‘brass era’ automobiles in the united States. I believe I recall seeing an Alco at the Berliet Foundation Collection in Lyon. 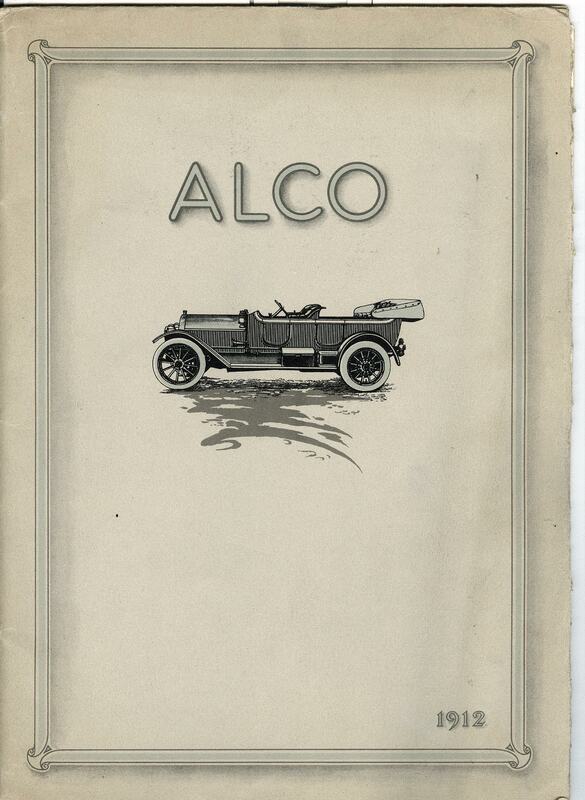 (ALCO automobiles were made under Berliet license.) I don’t have my photos of the collection available at the moment, so I cannot provide any more details.